During a heatwave it goes without saying that there is a higher risk present of sunburn, heat-stroke, insect or spider bite, eye-damage, dehydration, food poisoning, and bushfires. This means that it is important when summer is approaching to prepare well ahead to help keep your congregation safe, cool and comfortable on those really hot days. This may involve installing air-conditioners in your buildings, reducing the risk of bushfire damage and injury on the property, and putting up outdoor shaded areas. It’s also important to keep an eye on the climate patterns and forecasts so you know when a hot day or heatwave is imminent and you can prepare for its arrival. Forecasts and warnings can be found at the Bureau of Meteorology website. 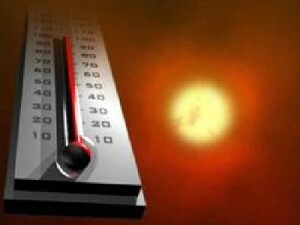 Monitor the temperature of the building, and look out for anyone who may be showing signs of distress from the heat. Infants, young children, pregnant women, the elderly, and people with illnesses are usually more vulnerable to the effects of heat than most. Make all efforts to keep the building as cool as possible. If air-conditioning is not present or is not working properly, cover windows to reduce heat entry, and move to the coolest part of the building if possible. Keep cool water available at all times in case of dehydration. Try to ensure any outside work or activity happens early in the morning before it really heats up. Encourage your workers, congregants or volunteers to wear hats and long sleeves to avoid bites and sunburn, and to use a sunscreen of at least SPF15 and an insect repellent. Sunglasses also help to reduce the risk of eye-damage from the sun and people should be encouraged to wear them. If insect bites cause problems such as swelling apply a cold pack to the affected area. If an allergic response occurs call for medical assistance immediately. Information on first-aid for insect bites can be found at the Better Health Channel. For tick bites, remove the tick immediately with tweezers or using the ‘knot method’ as outlined here by the Qld Government Department of Health. Sunburn should be treated with cool water and a sunburn-relief spray or moisturiser as quickly as possible. Keep grass length down to 10cm or less. Remove any piles of wood from near the building. Clear away leaves, dry grass and other debris from around the property and from the roof and gutters. Prune away the lower branches of shrubs. One of the best preventative measures is to prepare a defensible space around the property, which involves removing any combustible items and materials from the areas nearest the building, and by planting in a ‘firewise’ manner within this zone. The CFA has more information on this subject. Make sure to have your bushfire survival plan up-to-date and ready to put into action if required. Food safety is always important, but special care should be taken on hot days when food is likely to go ‘off’ more quickly. It’s important to keep any fresh or cooked food refrigerated if it is not to be eaten immediately, and to avoid leaving food out for long periods. No fresh food of any kind should be left outside in the hot sun. More information on food safety can be found here.